New York, 5 Feb 2015 ‑‑ The market for initial public offerings in the global technology industry surged in 2014 and was the strongest in 10 years, with 118 offerings resulting in proceeds of US$51.2 billion, according to PwC’s Global Technology IPO Review. The record performance was driven by strong capital markets, relatively low volatility, the opening of the IPO market in China and improved conditions in Europe. Despite geopolitical challenges in some regions, there was broad global participation with companies from 19 countries and 16 exchanges, also a record for the decade. Proceeds in the second half of 2014 jumped almost 70% to US$32.2 billion due to Alibaba’s third quarter IPO (US$21.8 billion) which set the stage for a surge of 34 technology IPOs in the fourth quarter. Chinese technology IPOs accounted for 38% of 2014 volume, nearly triple that of 2013, and made up 57% of IPO proceeds for the year. Looking forward, it is expected that China’s share of the global technology IPO market will continue to grow and return to the robust levels seen in the 2009-2011 period. The US had the second highest number of tech IPOs, 37, with proceeds of US$7.9 billion, up from US$7.5 billion and 35 deals the previous year, continuing five years of consistent growth in US tech IPOs. The European technology IPO market made a comeback in 2014, raising US$6.8 billion from 14 offerings, compared with US$1.5 billion and eight offerings the previous year. The UK, with seven deals raising US$3.3 billion, led the way. In all there were technology companies from eight European countries that went public in 2014. Japan had four technology IPOs raising US$4.2 billion compared with three deals raising US$321 million in 2013. US stock exchanges continued to dominate global tech IPO activity. Fifty-six companies completed IPOs on the NYSE and NASDAQ in 2014 compared to thirty-four in China (inclusive of ten in Hong Kong) and twenty-eight across other exchanges. The Internet Software & Services and Software sectors contributed 79% of the proceeds and 69% of the total technology IPOs in 2014. The two sectors have consistently led in tech deals over the past five years, driven by the rapid increase of e-commerce and innovations in mobile and social media. 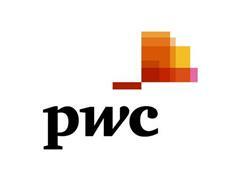 © 2015 PricewaterhouseCoopers. All rights reserved.